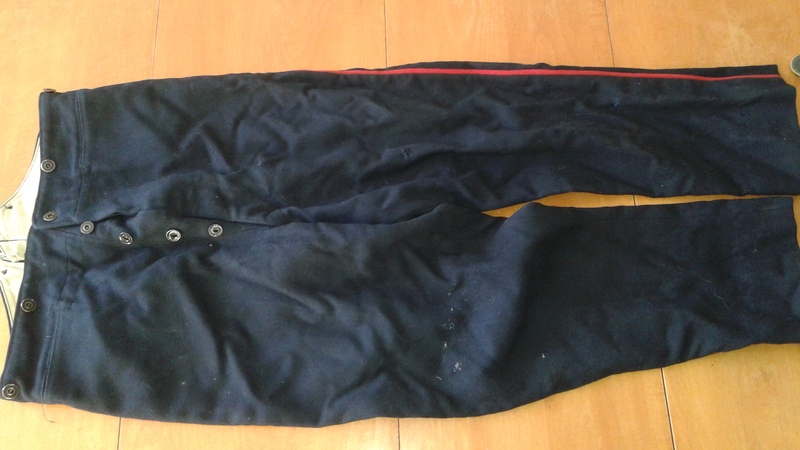 Excellent condition blue patrol pants. They have a single stripe down each leg. Maker marked to Workman of Montreal with a 1932 date. Waist is 32.5.